As an experienced investor, sometimes I can lose sight of the fact that many people struggle with financial matters in general and investments in particular. What may appear to be a straight forward concept to me, could well be difficult for others to grasp. One of the aims of writing my ebooks and also setting up this blog was to help ordinary people to better understand personal finance - especially the world of investments. I have recently been thinking that, for the vast majority of would-be investors, all they really need is a very simple, no-frills diy strategy which will provide a good chance of a decent outcome. I was recently helping some good friends work through various investment options. They were very aware they were losing out by keeping all their saving in a cash deposit account, especially with the low interest rates of recent years. They also knew that some investments could provide potentially better returns over the longer periods but they equally had no experience of the stockmarket and did not really have much of a clue which type of investment would be best for their situation and did not want to use a financial adviser as the up-front fees put them off. I imagine there must be many people in a similar situation. Since the introduction of RDR in 2013, advisers can no longer receive commission payments from the funds they recommend so they generally charge an agreed up-front fee to cover the initial work and recommendation. They may then charge an annual fee to review the portfolio on a regular basis. Although I am not able to give specific advice, with a little ‘help’, my friends were able to come up with a really good solution. They decided the Vanguard LifeStrategy (pdf download) funds were just what they needed. They offered a balanced portfolio of globally diversified equities combined with some gilts and corporate bonds. They were not sure which broker to use - I suggested they have a look at the Monevator comparison. In the end they opened an ISA account with Charles Stanley Direct as there would be no charges for their monthly contributions and the annual fees were just 0.25%. They have invested some of their savings as a lump sum in the Vanguard LS60(acc) and then set up a direct debit for their monthly contributions into the LS80(acc). Although they would not be suitable for those seeking a higher natural yield, these funds seem to offer investors a really good low cost option for a simple but effective investing solution. They were introduced in 2011 and provide investors with a neat solution to match their required mix of asset allocation between equities and bonds - from 20 to 100. Therefore the LS40 will have 40% equities and 60% bonds; the LS80 will have 80% equities and 20% bonds. The fund will hold a blend of the Vanguard stand-alone funds. The bond element (assuming you do not want the 100% equity) will comprise a combination of UK gilts, global bonds, corporate bonds and inflation-linked gilts. The equities element includes their UK all share tracker, global tracker and finally, a small exposure to emerging markets. The ongoing costs have recently been reduced to just 0.24%. Seems to me that putting together a DIY investment portfolio does not come much simpler than this. You decide on your asset allocation, select your low cost broker, set up your automated monthly direct debit - job done, get on with your life! Do others hold this in their portfolio? Leave a comment and let others know what you think about it. I have never come across this before. Obviously, I am happy with the high individual equity, dividend focused investment portfolio I currently have. But I will maybe edge some of my friends (and maybe even Miss DD) towards looking into this LifeStrategy idea. Seems logical and, as you say, very simple but also very effective. Thanks for putting this together. I will have a better look at this later! Thanks for your comment. I am a bit surprised this fund has not appeared on your radar - also pleased because it may not have come to the attention of other readers. I think the concept has much to commend it - as you point out, logical, simple and effective. I had a quick look at the possibility of adding it to my income portfolio but sadly, the yields work out at less than 1.5% so it would not fit in with my requirements. I do however think it could be a great option for younger investors building an investment over time and may easily perform just as well as a portfolio put together by an adviser. Sounds like you are putting together a very handy portfolio. I think it is good you have added some exposure to smaller companies - my investment trust with Aberforth has done well in recent years. Good luck with the investment journey! I, much the same as Weenie, am using the LS to get started, and then into other areas that are under weighted. Seems like a good way to start building funds, with low charges and dealing fees. I like the low maintenance nature of it. One thing that does worry me when things do go downwards, perhaps having all wrapped up in one vehicle isn't great. Thanks for dropping by and good to hear you are switched on to the LS range. As you say, a good way to get started and then build around as required. I am not quite sure I understand your concern about when things turn downwards - you have selected the appropriate fund according to your attitude about market volatility - you accept that investing for the longer term inevitably involves some ups and downs along the way. How are you affected by having one of the LS combined equity/bonds funds compared to other ways of holding investments? Didn't explain myself very well! I was thinking about when it comes to drawdown. If all was locked into one fund then if I needed to sell some assets to provide drawdown, I could be selling part at a 'loss'. If it was broken down into separate funds then I could target parts of the portfolio that were up. I wonder if the long run it is much the same. Given that LS rebalances itself, unlike a world index tracker say, I wonder if I am over complicating things. I think the auto rebalancing aspect is a big benefit for the LS funds. I seem to recall reading an article which suggested the longer term returns from an 80:20 portfolio may be better than a 100% equity. If I can find it, it may be a good subject for a follow-up article. Thanks for stopping by to clarify! "I think the auto rebalancing aspect is a big benefit for the LS funds. I seem to recall reading an article which suggested the longer term returns from an 80:20 portfolio may be better than a 100% equity"
I would be very interested in learning more about this if you can find the article. I think it was one of the USA blogs around a year back but, of course, I cannot now find it - from memory it was comparing returns over quite a lengthy period - maybe 15 yrs - and I remember being a little surprised by the outcome. Sorry not to be more helpful... maybe other readers will have read something similar?? - I never understand why some investors are a bit fixated on income. There is no mathematical difference between taking 3.5% from investments by sellling units where necessary and choosing higher yielding investments. (So 3.5% taken from selling units is the same as choosing higher yielding investments) If anything the search for 3.5% yield will lead to much increased risk and if the funds are held outside a SIPP or ISA then it is generally much more tax-effiicient to take capital rather than yield. You make some really good points - particularly the last one on selling units. I have been putting together a follow-up article to this and have concluded that maintaining the LS fund and selling down units to give the required level of income may well be the most simple low cost solution for those needing a regular income later in life. Just wrote a lengthy note in praise of the article and in particular the comment from Passive Investor about income withdrawal - and promptly lost it all when I went to 'Publish'. Anyway, the gist was that my holdings in Vanguard LS funds (60 and 100) have proved to be far less volatile and better performing than my more active portfolio. The other point was that PI is right that if you are going to withdraw x% income from your portfolio then it matters not whether your portfolio generates this through dividend yield or growth. If you want to, or think you can, withdraw more income than the current growth & yield of the benchmark of your portfolio, then you would either eat into the capital or you could abandon passive trackers and adopt an active high-yield strategy. Sorry to hear your first post disappeared - its happened to me on several occasions and is very frustrating - thanks for persevering with a second attempt! Its always good to get feedback from investors who are walking the walk so to speak. The blogs and comments are a great way for everyone to learn from the experience of others. I initially rejected the possibility of a LS fund for my own portfolio due to low yield, but I may well experiment with the strategy of selling units to provide the desired level of income - say 4% for example, and see how it goes. My natural tendency is to withdraw the natural income from my investments but there is no reason why this alternative method would not work just as well and with lower costs and greater diversity of assets. It is interesting to see the recommendation of investing in Acc and taking income by selling units selectively investing for income. As a retired person, I have taken an approach of investing in whole market funds and taking whatever income is available for spending or reinvestment and hoping that non income bearing growth will help keep up with inflation. Is it really a choice of investing for income or growth, I think my approach offers a balance between the two. Thanks for your comment. I think the main thing is there are no absolutely right ways to approach investing - what works for one will not feel right for others. Like you, so far, I have mainly taken the natural income from my investments - currently ~4%. It would not be economical to sell small amounts of my shares or investment trusts when I needed income as the broker fees are £10 for each sale. However, I can see the selling of units in a LS fund working, particularly with a broker who did not levy fees on the sale/purchase of units. Really happy to read this post. I managed to save a fair amount of cash in the last 12 months and then started reading up on investing around December 2014 (reading a lot of Monevator and other blogs). Which is when I came across LS. I think I am like the person you describe. I don't wish to actively invest, I don't wish for others to actively invest on my behalf and I don't really want to think about it. So I opened an ISA with Hargreaves Lansdown and went for LS 100 (Acc). Going 100% is ultimately influenced by jlcollinsnh in that over the long term it should be better, though with more volatility. I have also opened a SIPP, investing into Vanguard US Equity Acc due to the reading of articles over at jlcollinsnh. Basically this is cheaper than LS and is quite well diversified globally anyway. (LS100 is ~40% this anyway). I am somewhat concerned about the currency thing. I am putting less money into the SIPP, because it's not as diverse as LS and I can't get at the money for ages (I am 31) anyway. Sound like you have put in place a simple but effective long-term investment strategy. I think the main thing is that you understand what you are doing and can stick with the plan long term. As you know, equities should provide better returns but the journey will be volatile so be prepared for the 'downs' along the way. I have no knowledge of the US fund so cannot comment on this - perhaps other readers have a view? Good luck with your investing journey (I wish Monevator had been around when I was 31)! I recently read a quote from one of the US investment gurus (it was either Jack Bogle - founder of Vanguard - or possibly Warren Buffet) that they would personally not bother investing outside the US . They would simply invest it all in a S&P 500 tracker (obviously a Vanguard one if it was JB!). I believe I also read that this is precisely what WB intends to do with the family fortune once he passes away. 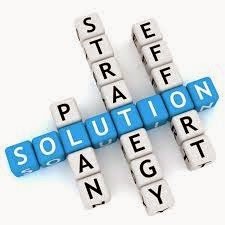 So maybe you have a good strategy - simple, low cost and very successful over the past 5 years or so. However, the leitmotif in my investment reading is that past success is no guarantee to the future performance so I have preferred to stick with a global fund / ETF for my passive portfolio. After all, the world's money is invested globally and I have no better insight than that. I also would have learned a lot from Monevator at 31 - I only wish my sons would read it whilst they still have that major investment asset on their side - time. When linking to a document such as a PDF which requires downloading indicate that in the link text. I've been happily investing in LS 100 for over a year now. One thing I don't understand is why the yield is so low compared to its constituent parts. LS 100 currently has a yield of 1.4% whereas the weighted average of its component funds yields 2.54%. Any ideas as to the big difference? That's an interesting observation to which I do not have the answer! As the price has retreated in recent months, the yield will have increased slightly to ~1.5%. Also I assume the fund costs will be taken from income receipts before distribution so at least a further 0.24%. Then there are exchange considerations. That's the best I can do, but yes, you would expect the yield to be a little higher. Hello, and thanks for a great blog. My only comment on the LifeStrategy funds is that they are just Bonds and Equities - no precious metals, other commodities, property, hedge funds, currency hedges. I am only just starting to learn this stuff so please educate (rather than shoot) me, but the Bonds+Equities model seems to imply that if your high growth equities tank, you've still got some safer cash stashed in the bonds. Whereas a broader portfoilio seems to imply that *as* equities tank then other negatively correlated assets such as commodities (and specifically gold) rise. Esentially you've hedged your position. What does a 'broader' portfolio really contain outside of an equity bond mix? You need to consider that the equity you hold, if well diversified, includes commodities, property, financial services etc directly or indirectly via the companies whose shares you own. It's also not about having some cash safely stashed away so to speak, what you are looking at is trying to keep a highly liquid non volatile asset available that will hopefully lose less purchasing power than cash, ready for when equity tanks. At that point, you would be in a position to buy equity, which should happen automatically as part of the portfolio rebalancing process. Some people swear by gold, which you specifically mention, however that's an incredibly debatable investment option. If you are convinced it's a good diversifier then it may be for you, but for many it's of little value as an investment. Of course this whole reply may well be nonsense - an economist will be able tell you if that's the case; tomorrow. I have a portfolio made up of LS100, Scottish Mortgage Investment Trust and Vanguard Emerging Markets. I am in the accumulation phase and have a bit of time on my hand, so don't mind the potential volatility. I really like the simplicity of LS.